Posted at the entrance of “Toy as Medium”, the latest exhibition at the Floating Projects art space, is a collection of thoughts about play as an activity: Plato’s “you can discover more about a person in an hour of play than a year of conversation” and Carl Jung’s “the creation of something new is not accomplished by the intellect but by the play instinct”. 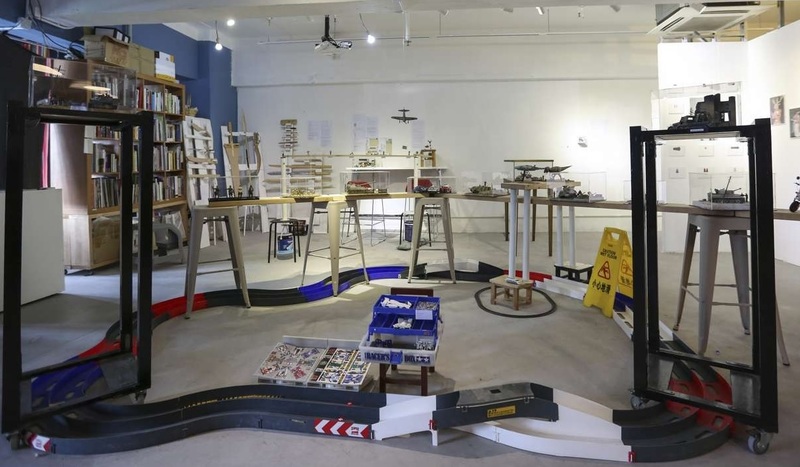 To outsiders, this group show merely appears as a gamer’s playroom or a model-maker’s workshop, and this might have something to do with the venue. Located in a Wong Chuk Hang industrial building, Floating Projects is a self-funded art space led by independent artist Linda Lai Chiu-han, who is also a lecturer at City University’s School of Creative Media. It is a place to meet, discuss, experiment and exhibit. In what is termed “assemblage sessions”, the space also becomes a working studio. 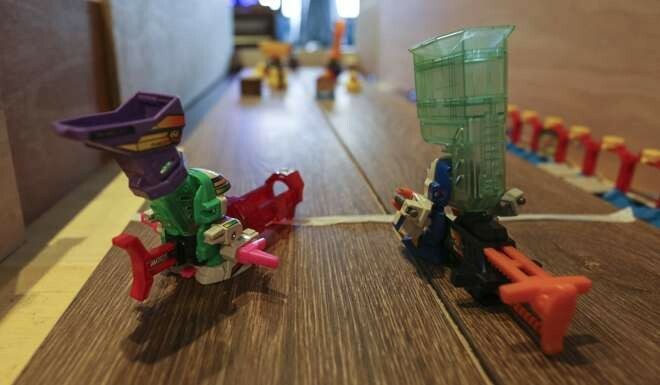 In the weeks before this exhibition it was a workshop for 11 artists, predominantly graduates or students from the School of Creative Media, to collectively explore the culture of playing and using toys as art-like objects. The result is a series of constructions and installations using toys, video games and plastic models; as well as some serious inquiry into the notion of recreation, as outlined in the excellent explanatory bilingual artist’s notes. The exhibition is centred on play, memories of childhood, craftsmanship, hero-worship and cultural associations of toys. Kel Lok Man-chung poses the question, “What is it like growing up?” and offers such answers as, “It is the will to accept … the will to confront” and “… the will to believe”. These goals also apply to adults, with Lok taking a “grown-up” approach to toy-making when he heard of a friend who was left grief-stricken after her cat died. 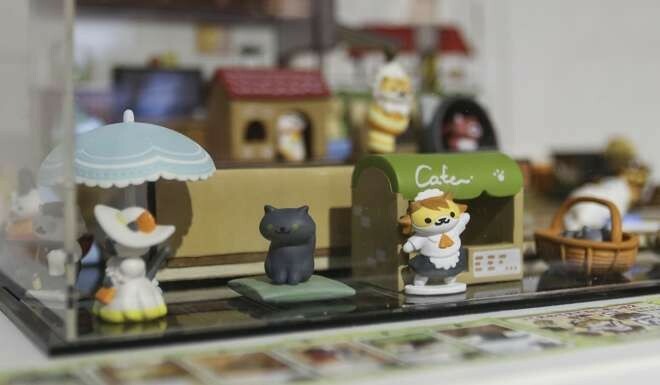 Hoping to cheer her up, Lok built a whimsical cardboard house with cats depicted in various poses inside. The construction, entitled That House (2016), was accompanied by imaginary screenshot-style graphics of web pages dedicated to cats. These were humorously “framed” by a smartphone cover that could slide over and between the pages as if they were being swiped. 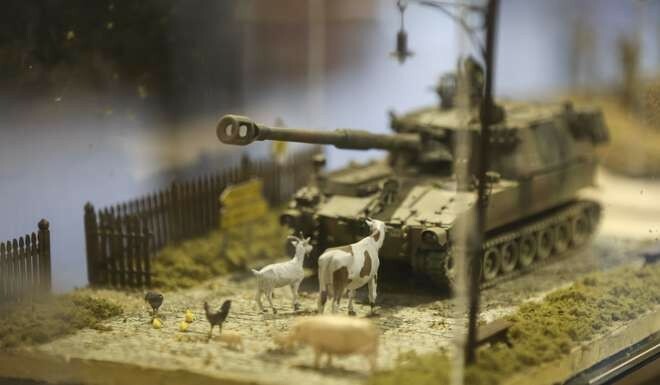 Lai Wai-leung’s Model Sceneries (2016) are predominantly imagined war scenes, dioramas containing plastic model war planes, tanks, vehicles, numerous accessories and a variety of soldiers in an open-air land­scape of painted dirt, grass and shrubbery. Cultural characteristics are explored, too. 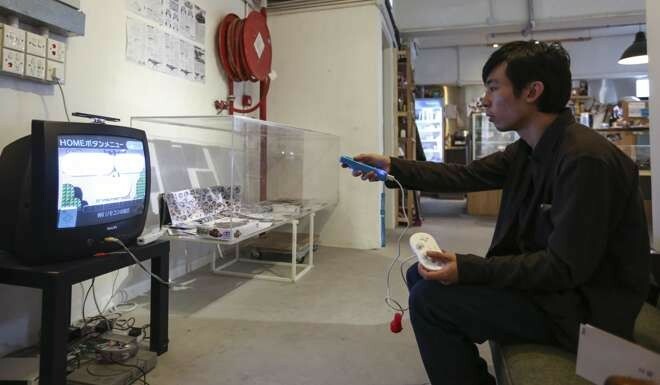 Andio Lai set up a games area – intentionally situated near the busy Floating Projects entrance – for visitors to play Nintendo’s Super Mario Bros video game. It replicates a small Hong Kong flat with children playing video games while their parents annoyingly walk past and in front of the television set. Wong Fuk-kuen’s B-Daman Battle Table (2016) uses early generation Japanese plastic toys that have marble-launchers embedded in their chests. When a trigger is pushed, the marble is fired. The Battle Table sees two opponents, one at each end of an alley, firing marbles to push a target over a line to win. Wong says, “This is not nostalgia, it’s truly fun!” – and it is. Lam Kin-choi and Jess Lau Ching-wa ask visitors to draw pictures recalling their own memories of childhood games. Some of these reflect a simpler time: a bedsheet stretched out and held at each end to replicate the sea while children “swim” around it. Another make-believe game reproduces cold weather by opening a refrigerator door while heat is then “produced” by rubbing two chopsticks together. The personal reflections will be publish­ed in a magazine – adding further substance to this thought-provoking exhibition.